I can’t believe Miles Franklin is just giving this article to you for free. But I guess that’s how they treat their friends, email subscribers and precious metals customers. 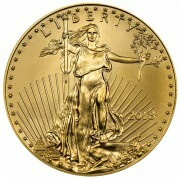 If you’re not on their email list or buying gold and silver from Miles Franklin yet, get on it here. How would you like to legally pay ZERO capital gains taxes on your precious metals profits or even any mining stocks you own? It’s a sunny San Juan day as I write this article that could potentially save you millions of dollars. At least thousands of dollars. And in a minute, I’m going to introduce to the exact experts who can walk you through this process, step by step. So you might wanna read this now. It won’t take long. All I ask is that you help me out and forward this article to a friend or share it on your Twitter or Facebook page. Looking out into the Caribbean sea with the horizon that never ends I think back to what it must have been like for the Spanish explorer Ponce de Leon in the year 1508. The unique trade winds blew Europe’s first explorers within range of Puerto Rico. Columbus sighted the island on his second voyage but Ponce de Leon was first to colonize Puerto Rico. And over the course of 250 years, Spain built huge fortresses to guard this unique island. The biggest fortress is called Castillo San Felipe del Morro and much of Old San Juan is covered by huge walls and “Garitas” or sentry boxes like the ones in the picture below. Why would Spain spend so much time and resources on fortifying and protecting Puerto Rico? For the same reason you may want to take advantage of Puerto Rico Act 20 and Act 22. It is the gateway to new world wealth beyond belief. You see, in the 1500’s, lands that bordered the Atlantic Ocean and Caribbean sea contained the resources and riches Spain needed to dominate the world. 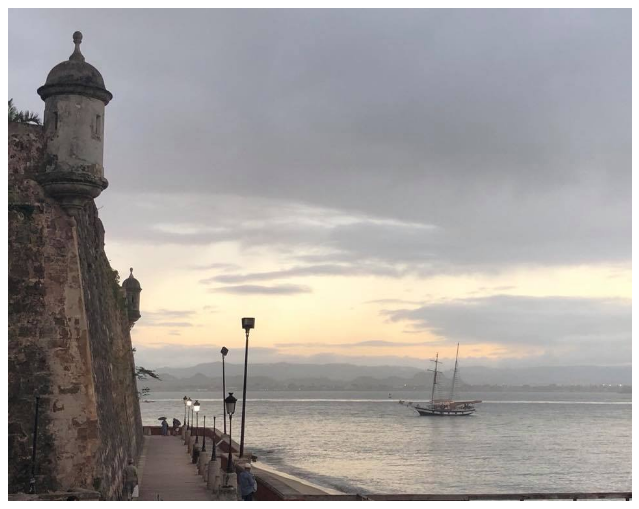 Puerto Rico was the first significant island with a deep harbor, freshwater and supplies that explorer and trade ships encountered on their way from Europe to the Americas to capture gold, silver and spices. Whoever controlled Puerto Rico, was going to get really rich. Puerto Rico literally means “Rich Port”. Even though times have changed and you no longer have to battle Mosqueteros and risk your life sailing across an ocean to reach those generational levels of wealth, you may still want to head to Puerto Rico for the same reason. Puerto Rico Act 20 and Puerto Rico Act 22. Now I’m no attorney, what follows is just a simple minded gold, silver and bitcoin investor’s summary of what is possible with PR Act 20 and PR Act 22. Please consult with the expert attorneys I recommend at the end of this article before ACTing on any of my writing. Under Act 20, if you decide to move your business to Puerto Rico, it will be taxed at the super high rate of 4% (if that) instead of the 21% or so in the United States. There is also a 100% tax exemption on profit and earnings distributions as well as property taxes. Yes I know what you’re thinking. Hunter, a 4% business tax rate is amazing but paying 23.8% of money I earned from it in distributions or dividends doesn’t sound so good. Is there any way around this? And how in the hell does this help save me money on my precious metals investments? Well that’s where Act 22 comes in. Using Act 22 in the above example, you would be able to pay 0% tax on those distributions which would make your effective tax rate 4%. Yes, Act 22 makes it possible for you to pay zero capital gains taxes! 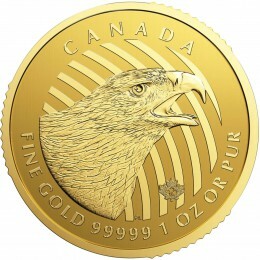 Think about what this means for your gold and silver bullion investments. Also under Act 22, you will pay 0% tax on any income you make in Puerto Rico. Zero alternative minimum tax. ZERO PERCENT TAX ON CAPITAL GAINS, interest and dividend income. Reread that, it’s not a typo. What do you have to do to get the benefits of Act 20? Move your business to Puerto Rico. What do you have to do to get the benefits of Act 22? Become a resident of Puerto Rico. Becoming a resident of Puerto Rico is not that hard as it may seem. Its a tropical island. Sun and sand. You can move to a beach like community found in the city of Rincon or a major metropolitan city with Walmarts and all the other big city amenities like San Juan. If you’re an American citizen, you still retain that status and everything that comes with it like voting rights but just not the federal or state taxes. Boo hoo. Plus in order to become a resident, you only have to stay here for 6 months out of the year, and sometimes even less depending on your situation. I think I may only be in Puerto Rico 5 months this year and I should still retain my Puerto Rico residency status. But many people I know fall in love with the island and stay more than 6 months too. Ok, let’s get to the big question on your mind. Help me picture exactly how Puerto Rico Act 22 can help mining stock, gold, silver and precious metals investors like me? Well, first of all keep in mind that I am not an attorney or CPA and you shouldn’t blindly follow any advice I give. This is just my dumbed down explanation of what is possible with Act 22. Talk to a real attorney or firm, like the ones I mention below, before you take action. Wolves don’t kill unlucky deer first, they kill the weak ones. Do your own research (although I’ve done a lot for you here) and don’t be mentally weak. Consider the following precious metals investing scenarios. SCENARIO ONE: You live in Chicago. You bought lots of gold in 1996 at $370 an ounce. For whatever reason, you decide to sell it in 2019 when its trading at an $2170 an ounce. The US government takes a nice big chunk of long term capital gains taxes for themselves on your $1800 per ounce profit at the going capital gains tax rate. On top of this nonsense and misery, you suffer through the long, dark and cold Chicago winters. SCENARIO TWO: You bought lots of gold in 1996 at $370 an ounce. In 2018 you decided to become a Puerto Rican resident and claim an Act 22 grant while gold is trading at $1370 an ounce. For whatever reason you decide to sell your gold in 2019 when its trading at $2170 an ounce. The US government can still collect “built in capital gains” from the years you owned your gold bullion while you were a resident on the mainland, but what monetary gains you made in gold since you became a Puerto Rican resident under Act 22 will be taxed at 0%. So you would be taxed on the $1000 gain you made on each ounce of gold while you were living on the mainland at the going capital gains tax rate levied by your good old Uncle Sam. But on the $800 per ounce gain you made on your gold since moving to Puerto Rico, you would be taxed a great big 0% under Act 22. And even better, if you decide to wait it out and sell your gold after the 10th year of your Puerto Rican residency, the US government would tax you nothing on your total gold sale and the government of Puerto Rico would tax you just 5% on the monetary gains your gold bullion made prior to becoming a Puerto Rican resident and 0% since becoming a resident. 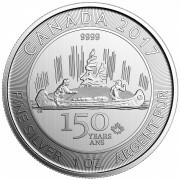 And even more better, any gold and silver bullion, mining stocks, ETFs (like GLD or SLV) or even probably cryptocurrencies like Bitcoin you bought while a resident of Puerto Rico and decide to sell in the future, you pay zero taxes on as long as you realize your gains by the year 2036. Oh yeah and unlike Chicago, Puerto Rican winters bring no freezing cold rain or extended weeks of darkness and snow. It does have a hurricane season though which is when I head back to the City of Big Shoulders for a bit. SCENARIO THREE: If you’re just getting in to this, you can move to Puerto Rico and establish residency under Act 22 now. 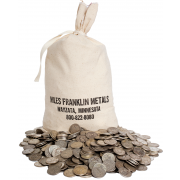 Call up Miles Franklin and buy a ton of gold and silver. You can even have them store it for you in their world class private safe deposit boxes, your precious metals don’t even have to be stored on the island. Maybe buy some stocks or cryptos too. I like the mining stocks right now and cryptocurrencies like OMG, Zencash and Bitcoin. You can trade in and out of the market as much as you want. And guess what? You pay no capital gains taxes. There isn’t really a catch. Both Acts are constitutionally protected grants. But like I said earlier, you’ve got to live at least 153-183 days a year in sunny, tropical Puerto Rico. You also have to donate a minimum of $5,000 per year to a Puerto Rican charity of your choice. When you write a check for 5-Gbirds to one of these charities on the island it can really change their lives for the better. Make a huge difference. Most people I know end up donating way more. Its an uplifting and fun experience to help so many Puerto Rican people. It may seem like investors and entrepreneurs are only coming here for the tax advantages, some are but most of that reporting is CNN-like fake news nonsense. The majority of them I’ve met are really invested in making the island a better place as well. Plus when you live here at least half the year, you’re spending a nice amount on local goods and services. How exactly do you take advantage of Act 20 and Act 22 and move your business and/or establish residency in Puerto Rico to save big on your precious metals capital gains taxes? 1) Rafael Arce – Managing Member – ClearPath LLC Rafael and the ClearPath team are experts on helping individual and corporate investors structure and set up Puerto Rico Act 20/22 in addition to bookkeeping and accounting related services. Rafael is also a big fan of gold and silver bullion which means he’s probably getting a nod in the resource section of my next book. 2) Giovanni Mendez – Attorney – Geo Tax Giovanni is a San Juan based attorney specializing in Global Economic Optimization. Mendez is an Act 20/22 expert and is uniquely familiar with the ins and outs of the blockchain and cryptocurrency industry. I was just at the Coinagenda Cryptocurrency and Blockchain conference at the La Concha Hotel in San Juan and all the blockchain people were flocking to Giovanni. 3) Chris Hamm – CEO – CASPR Want to move your business to Puerto Rico? Chris is a CPA and founder of CASPR, which happens to be an official qualified promoter for the Puerto Rican government. What does this mean? It means the government of Puerto Rico pays CASPR a percentage of the tax revenue generated from the Act 20 businesses they bring to the island. This means that if you are considering moving your business to Puerto Rico, you do not pay for their consulting services. In addition to Act 20, they can also help you with Act 273 (Banking), Act 399 (Insurance) as well as business staffing, real estate or health insurance needs. You will still have to pay one of the two experts listed above to do the legal legwork, but Chris can help guide you at no charge in the best direction for your specific business needs. If you do happen to schedule a consultation with any of these PR Act 20 and PR Act 22 experts, please tell them Hunter Riley III sent you so at least they’ll buy me some Puerto Rican mofongo or after work drinks at one of the World’s top 50 bars, the speakeasy known as La Factoria in historic Old San Juan. If you want to come to San Juan to check it out, get a hold of me at my website below. I recommend staying at the Condado Vanderbilt Hotel or on the most charming and historic street in Old San Juan at the Caleta 64 Building. PS…Hunter Riley III is author of the #1 best selling gold and silver book on Amazon, Stack Silver Get Gold: How To Buy Gold And Silver Bullion Without Getting Ripped Off! He is also the creator of the online training course, Stack Silver. Get Gold. Buy Bitcoin. Which shows precious metals investors how to buy cryptocurrencies and cryptocurrency investors how to buy precious metals. 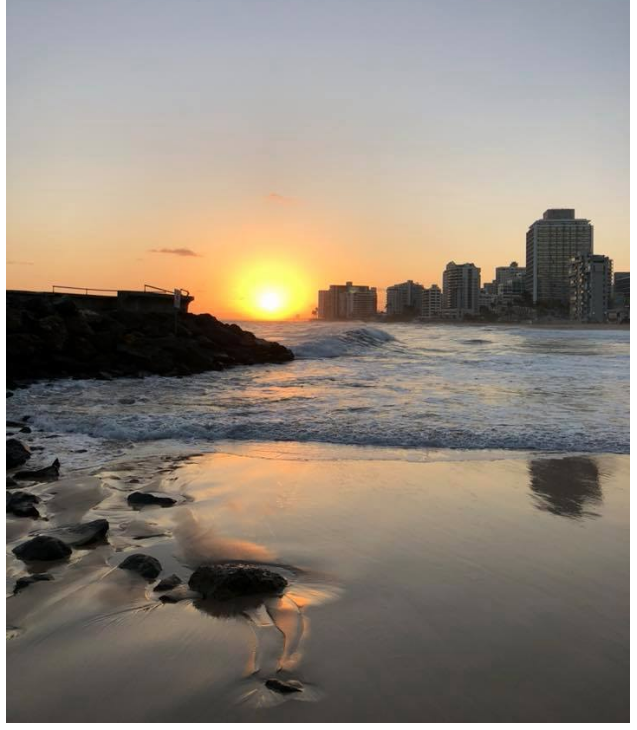 PPS….Since you’ve helped me out and probably already shared this article on your Facebook page or sent it to a friend, here’s a pic of a typical San Juan Sunrise outside of the Vanderbilt.